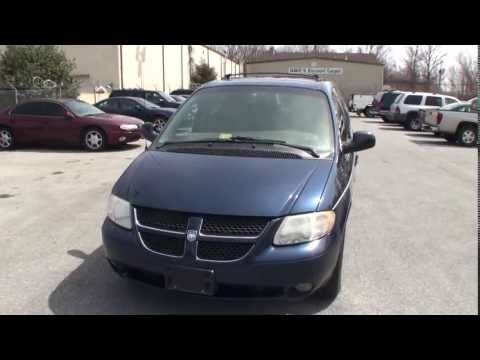 If you have children and need more space, a 2002 Dodge caravan is what you need! I have owned my vehicle just under a year now. So far, I haven't had any problems. The performance of the van is surprising. When you see a van, you wouldn't think that it has the power to get up and go, but it does. It has been a very reliable vehicle. If you have children like myself, you would love the space it has. Your children can travel sitting together or if they are not getting along, you can separate them. One of the features makes that possible. In the second row, there are two bucket seats that you can remove, if needed. The third row has a full 3 person seat that you can also remove, if needed. All power windows and locks. A/c and heater. Nice sound system. I had researched used car sales in 2014 when we were going to buy a vehicle. I knew what dealerships I wanted to look at. First one we went to had 3 different minivans that I had seen online. Looked & decided to test drive the Caravan. Very clean, drove good, only 72,000 miles on it & our price range. Bought it for $5000. Routine maintenance on it & new tires is all we've done to it. Needs a new headliner now but no major problems at all. We would buy a newer one next time we are shipping for a used vehicle.